Took long enough: More than one and a half years have passed since the original release, until GTA 5 finally released for the PC. The version for the domestic cruncher still brings a number of advantages, including the ability to integrate MP3 files into the game and spice up the selection of radio stations through your own music. How this is done, we will discuss in this guide. A small word of caution: All your MP3s are reproduced in the form of a separate radio station. It does not matter if its just a handful of songs or equal insert multiple albums at once - your music will only run on a radio station in a loop. Keep that in compiling the songs in mind and would rather add a few more MP3s to listen not always the same few songs. If you want, you can watch also make the effort and create different folders that are by genre, artist or whatever located. This you can then replace regularly in the game directory to have more variety. 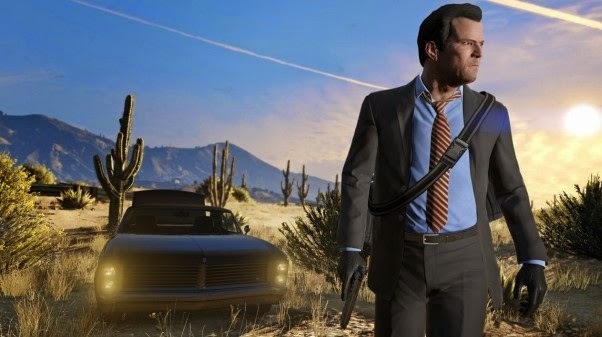 Since Rockstars open-world adventure itself provides no further convenience functions, you come to these additional handles not around when you want to listen to others, even pasted music depending on the mood. How to Listen to Your Music in GTA 5? - Ensure that GTA 5 is not started. - Open the folder "Documents" and then select only "Rockstar Games", then the directory "User Music" in the following installation folder. - Copy of your own MP3s in the folder "User Music" (Note: Only supported audio files in MP3 format. - Add least three or more songs, otherwise no separate radio station created by the game. - Start Grand Theft Auto V and open the game settings. - Select the "Audio" tab, and turn your MP3s as radio for free. While PC users can play with their own music, there have been much more difficult to play on consoles. There is no way to create radio stations, or to integrate your own MP3s firmly into play. This leaves only the possibility of external programs such as Spotify on the PS4 or the music player of the Xbox 360 can run "in the background". Sorry, no extremely comfortable way, but the only one that remains you. Here it is not assumed that Rockstar will change this state of affairs in the future.